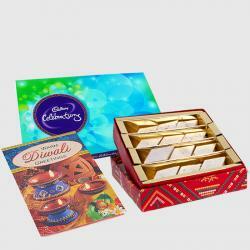 Product Consist : Box of Soan Papdi (Weight : 500 Gms) and Cadbury Celebration Chocolate Pack (Weight : 118 Gms) with Pair of Diwali Earthen Diya. This is a hamper that will go perfect as a Diwali gift to anyone dear to your heart be it your Parents Grandparents Friends or just anyone else. 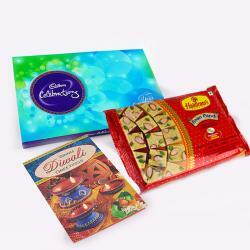 Have a look at this hamper that is a mix of exciting gifts perfect for a Diwali celebration. During Diwali the most essential sweet like Soan papdi which is everyones favourite is definitely bring smile on the receivers face at Diwali festival. 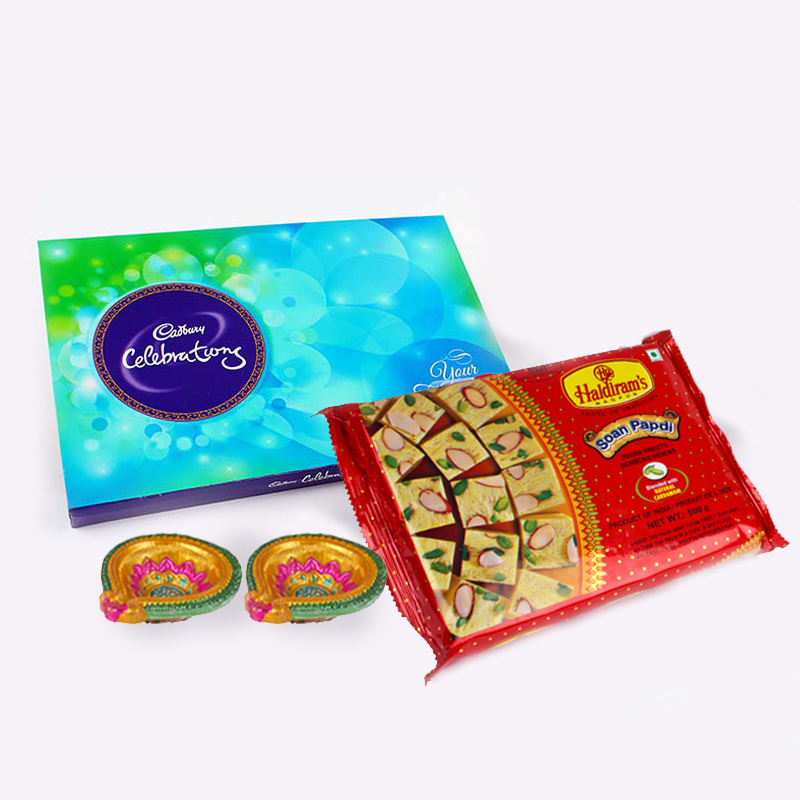 Along with this we have beautifully paired this hamper with a Diwali Diyas to lighten up the house and Melt heart of your friends or relatives by ordering sinful chocolate festive gift by Giftacrossindia. Get this awesome hamper delivered to your doorsteps or send this to anyone this Diwali and bag appreciation. 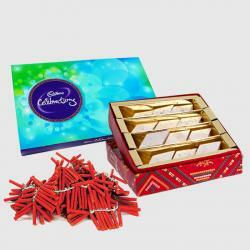 It is definitely one of the most unique and desirable gifts specially for Diwali. 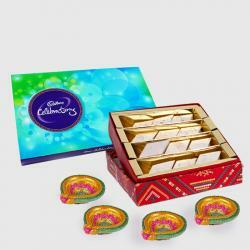 Product Includes : Box of Soan Papdi (Weight : 500 Gms) Cadbury Celebration Chocolate Pack (Weight : 118 Gms) and Pair of Diwali Earthen Diya.